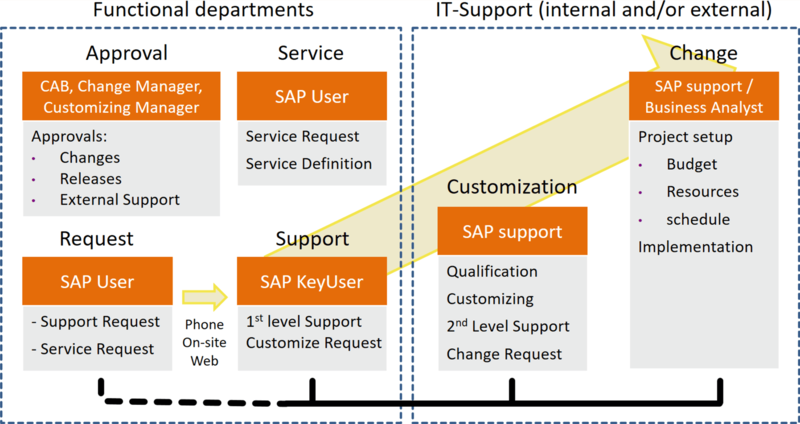 SAP KeyUser Pro is a business solution for supporting SAP (and ERP) environments. It addresses SAP Service Management from Support tickets, via SAP Service requests and Customizing requests to SAP Change & Project Management. It includes enhanced functionalities to find SAP KeyUser and SAP Services for all SAP users. It covers also the integration of external partners into the service workflows of SAP. In principle, it can be customized to supporting any kind of ERP-Systems like Navision and others. Please contact us for more details and an on-site presentation. SAP KeyUser pro can be implemented very quickly due to its pre-configuration and its immediate availability on the ServiceNow cloud platform. Beside the solution, we offer implementation and customizing support, ServiceNow platform operation and user trainings as well as customized user documentations. Download SAP KeyUser Pro from the ServiceNow store.